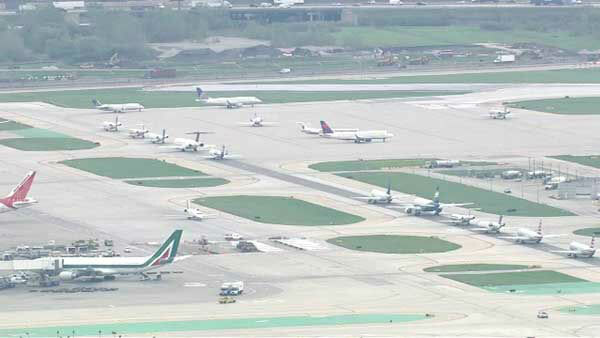 CHICAGO (WLS) -- O'Hare Airport has lost some ground in world rankings for passenger traffic. Last year O'Hare reclaimed the top ranking for world's busiest airport for air traffic. But it dropped in rankings for the number of passengers that fly in and out. Atlanta's Hartsfield-Jackson Airport tops the list for passenger traffic. Atlanta is followed by Beijing, London, Tokyo, Los Angeles and Dubai. O'Hare drops to seventh for number of passengers. It was in fifth place in 2013.